Eureka is a well-known vacuum company that has a long history in the United States, dating back to 1909. 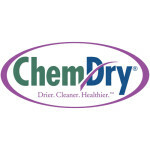 On this page we provide Eureka vacuum cleaner reviews, as well as a comparison table of some of the current top-rated Eureka vacuum cleaners to help make your decision making a little easier. But first, let’s quickly examine some of the common advantages and disadvantages of Eureka vacuums. 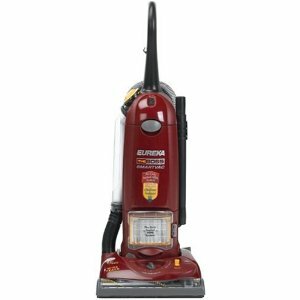 This Eureka AS ONE Bagless Upright Vacuum is one of Eureka’s newer top-rated models. It’s lightweight at only 8 pounds, and pretty stylish as you can see! 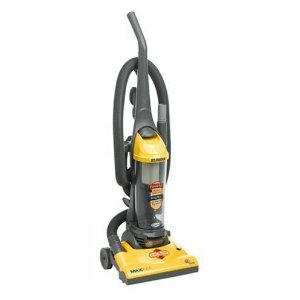 Some of the obvious advantages of the Eureka vacuum cleaners are that they offer a variety of affordable cleaning equipment options, capable of handling most of any vacuum cleaner needs you might have. As an award-wining company by Consumer’s Digest, Eureka vacuum cleaners are known for dependability and reliability, besides powerful suction, to get the job done. 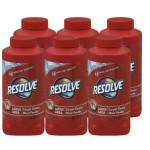 The main advantage is that they are known for good value at lower prices than competitors. There are some people that think they are made a little too cheaply, even though the prices are cheap, so you get what you pay for. Some wish for more accessories and think the hose is too short. 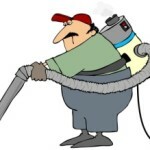 Some that have bought Eureka vacuum cleaners that require bags have a hard time finding them, except on the Internet, according to some reports. It might be best to stick with the bagless models, for this reason, which is more affordable in the long run when you don’t have to order new bags all the time. However, some customers with allergies prefer models with bags so they can avoid unloading the dirt containers. If that’s the case for you, the best tried-and-true bag vacuum Eureka offers is the Eureka Boss Smart-Vac , and it is one of the few Eureka vacuum cleaners that comes with a HEPA filter as well. 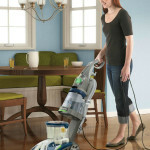 The Eureka AS ONE is one of Eureka’s newest models, and it is already a fairly high rated vacuum according to consumer reviews. For it’s size it is extremely lightweight at only 8 pounds. Some might question the durability of the vacuum then, but that has not been an issue in many customer reviews. This vacuum also features a reusable filter, which when it fills up you can wash and put back in so you don’t have to buy another. 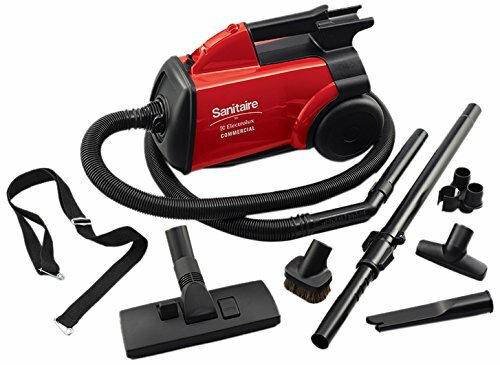 Overall it is designed for deep and powerful cleaning, as many Eureka vacuum cleaners are known for, and features accessories for cleaning furniture and upholstery. It’s suction power has been verified as very strong from consumer reports. Some of the downsides a few customers have mentioned is that this vacuum is louder than most, and because of how light it is it can occasionally have a tendency to tip over when you are using the hose. There’s also no way to turn off the roller, which some consumers have an issue with for possibly scratching finished wood floors. If that is a concern for you, we recommend checking out the Shark Navigator at the next price jump up, as it does have that feature. 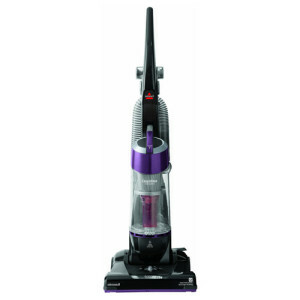 But with the price of this vacuum sometimes as low as $60, it maintains the trend of great value from Eureka and is a great low-cost choice. Eureka also has the distinction of having the #1 best seller in the canister vacuum cleaner category, this 3670G Mighty Might Canister Vacuum. As you can see from the comparison table above, Eureka has a number of very highly rated canister vacuums, which make for very easy maneuverability that’s great for efficient cleaning in the house or for more specialized cleaning jobs like in the garage or car. 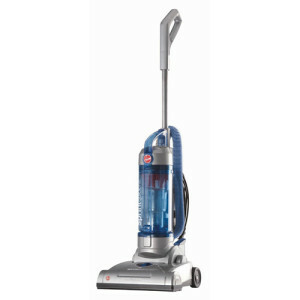 This canister vacuum has a powerful 12 amp motor, a blower port, auto turn-off feature and a 20 foot long power cable. 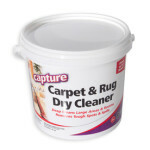 It’s designed to safely and completely clean bare floors and comes with a deluxe floor brush and bare-floor nozzle. 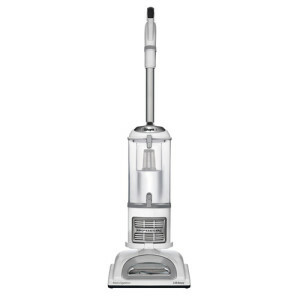 It sells for about exactly the same price as AS ONE vacuum above and has similar ratings, so if you are looking for a good affordable vacuum and can decide between an upright vacuum and a canister vacuum, you’ve got a really great choice with either of these two. For the quick and easy pickup, the Eureka 71B EasyClean is the perfect choice. 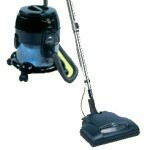 It features a roller brush and the ability to increase power and suction through the Riser Visor patented design. Whether you are spot cleaning a little spill or cleaning out the car or the stairs, the stretch hose with crevice tool is helpful. This is more than you would expect from a hand-held model and this is one of the popular Eureka Vacuums for the smaller jobs. It has a 20 foot cord, dust filter and a bagless collection cup. The best part is it offers powerful suction through 2 motors, yet only weighs 5 pounds. The Eureka Boss Smart-Vac is an older vacuum now, but it can still be a reliable pick. 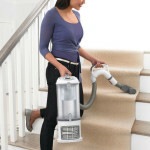 It was awarded the Consumer’s Digest “Best Buy” and “Best Vacuum” award for several years. As an award-winning vacuum, it removes almost 100% of allergens, including pet dander, with a sealed HEPA filter. In addition, the dust isn’t allowed to escape, like is the case with many bagless models. In addition, you can select where you want the air to go, which helps keep the dust from blowing around on hardwood floors. It is effective for cleaning up pet hair from carpet and upholstery with a powerful 12 amp motor and a 15 inch wide cleaning path. You can reach longer distances with the 30 foot cord, and the attachment hose stretches five times the length. 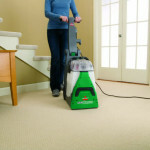 The Eureka Airspeed is a medium weight machine built for efficient deep cleaning. Weighing in at around 15 pounds, it has powerful suction, a multicyclonic dust cup system and it offers quick cleaning, with easy maneuverability. 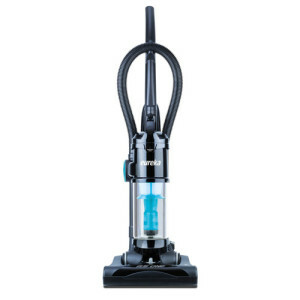 This vacuum is a bit similar to the older Eureka 4700D Lightspeed Bagless vacuum that we previously had reviewed on this page. The Lightspeed was formerly known as the Maxima, for those that have followed Eureka vacuum cleaners. They are both among the most affordable vacuum cleaner options, as the Airspeed can be found for under a hundred dollars. Eureka got their start in 1909, by Fred Wardell of Detroit, Michigan, who founded the company to sell vacuum cleaners he had acquired the patents to. The company started selling six different models that offered innovations, including using your vacuum as a hair dryer! They prided themselves on a light model that was capable of more than their competitors. In 1913 they purchased their own plant to start manufacturing the vacuums themselves, and in 1915 they won the grand prize at the San Francisco International Exposition. In 1922 they offered a new model, the Eureka Model 9, that significantly lowered the prices of home vacuum cleaners, beating out Hoover’s similarly spec’d model by 50%. Over the next few decades the World Wars required some strange diversifications of the plant, and the company merged with a Williams oil company and didn’t return to manufacturing its Eureka vacuum cleaners until 1957. In 1974, the Swedish based AB Electrolux purchased Eureka-Williams and expanded their plants throughout the North American continent, changing the name to The Eureka Company. When the parent company started offering Electrolux products in North America in the early 2000’s, Eureka vacuums were offered as a stand-alone brand that still produces new designs and innovation in cleaning technology. Eureka vacuum cleaners can be a good product, with a model of vacuum for many needs and many price ranges on the lower end. 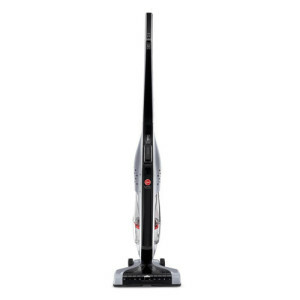 When you are searching for a vacuum that offers powerful suction at a reasonable price, chances are you will find what you are looking for with Eureka, whatever your particular needs. 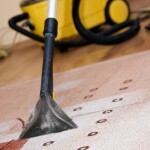 For this reason, many people have purchased Eureka vacuum cleaners to take care of all their cleaning needs.